Law at the End of the Day: Commentary on Michael Strauss's Essay: "Returning Guantanamo Bay to Cuban Control"
Commentary on Michael Strauss's Essay: "Returning Guantanamo Bay to Cuban Control"
The Association for the Study of the Cuban Economy (ASCE) will hold its 26th Annual Conference in Miami 28-30 July 2016. The conference theme this year is "Cuba: Assessing the Reforms." Conference papers will focus on the current economic and political situation in Cuba in the wake of normalization of relations with the U.S. and of the significant discussion about the future course of Cuban macro economics undertaken during the course of the 7th Congress of the Cuban Communist Party in April 2016. For more information see HERE. My friend Michael Strauss is presenting an excellent and provocative paper I have been asked to serve as discussant for a marvelous paper to be presented in the "Legal Issues" Panel of this Conference on July 28, 2016. The paper, entitled, Returning Guantanamo Bay to Cuban Control, is the subject of this post. Professor Strauss' paper may also be accessed HERE. The Commentary may also be accessed HERE. 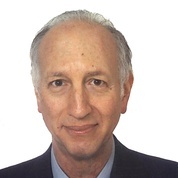 An ASCE member for seven years, Michael J. Strauss is Professor of International Relations at the Centre d’Etudes Diplomatiques et Stratégiques (CEDS) in Paris, Instructor in International Economic Law at Université de Paris 5, and Invited Professor of International Law at the Belarusian State University and MITSO International University in Minsk. His research encompasses two fields that have become pivotal in US-Cuban relations. One is Guantanamo Bay, which the US leases for a naval station (his book on the territory’s legal status has become a standard reference). The other is international economic law, where he studies the impact of trade sanctions. Prior to entering academia, Strauss was an international financial journalist, serving as bureau chief in various cities for Dow Jones (where he wrote a weekly column on commodities), Knight-Ridder and Agence France-Presse. As an award-winning investigative reporter, his stories led banking regulators throughout Latin America to close the Socimer network of banks and financial companies in 1998. Strauss earned his Ph.D. in international relations and diplomacy at CEDS. He was an International Fellow at Columbia University’s School of International Affairs (now SIPA), and holds degrees in journalism from the University of Minnesota (B.A.) and Columbia (M.S.). My friend Michael Strauss presented an excellent and provocative for that Conference’s panel looking to “Legal Issues” in U.S.-Cuba relations. That essay, Returning Guantanamo Bay to Cuban Control, looks at the legal framework within which the issue of the status of the U.S. naval base at Guantanamo, Cuba will likely be considered. I was asked to serve as discussant for that paper. That discussion is the subject of this essay. After this brief introduction, Part II considers Professor Strauss’ legal framework for understanding the legal issues around which the status of the naval base will be determined. Part III then examines the legal arguments developed in support of the means and value of closure. Part IV then concludes the analysis. The legalization of the international sphere has been growing since the end of the last century. It is producing some sometimes significant transformations in the way in which people and institutions approach issue in relations among states, and international public and private actors, including powerful civil society actors. Legalization is supposed to provide all of the benefits of law within states. It levels asymmetries of power in dispute resolution. It provides certainty both in the substantive rules to be applied and in the process used. It is meant to regularize relations and to reduce conflict by making the scope of rights and obligations clear. And lastly it is supposed to provide a mechanism that appears both fair and legitimate to all parties. This process of legalization has been most successfully developed in the economic sphere and as a critical factor in the success of globalization. But the legalization of politics has some very real limits as well. Within the political sphere, legalization des not so much reduce uncertainty and ambiguity in understanding the scope of rights and obligations. Nor does it necessarily limit conflict. The recent rejection by China of the arbitral decision against it in an action by the Philippines related to China’s South China Seas claims is excellent evidence of these limits. What legalization has done is to substitute the language of law for the language of politics, and to displace notions of interests with that of justice, now transfigured into political justice grounded in emerging international norms. Legalization thus changes language of interpretation and the process for resolution. But it does not avoid either. It is with this in mind that I approached the discussion in Professor Michael Strauss’ excellent analysis of the legal framework within which to consider the termination of the U.S. lease of the Guantanamo naval base and the control by the U.S. of the Cuban territory which that base occupies. Professor Strauss’ essay provides a very useful framework within which to understand the language and conceptual (and limiting) approaches that will be used to work through the issues in the coming years. I consider first the legal framework within which the Guantanamo closure will likely be considered, and then examine the specific legal arguments that have been developed to that effect. Professor Strauss starts by setting the context for the discussion. The foundation for that context, and the fact that has set in motion consideration of the issue, is the normalization of relations between the United States and Cuba. Professor Strauss notes, quite correctly that the term "full normalization" is a political construct, for the management of the development of the official "line" to be exploited by each state for its own purposes. There is no international standard for “full normalization” but it is understood to refer to comprehensive relations. When the United States and Vietnam established “permanent normal trade relations” in 2006, Vietnam described this as a “full normalization of relations” that would “establish a sustainable foundation for the development of bilateral relations in all fields, particularly economic, trade and investment” (Embassy of the Socialist Republic of Vietnam in the United States of America, “PNTR Legislation Marks Full Normalization of Relations: FM Spokesman,” press release, 21 December 2006). (Strauss, Returning Guantanamo Bay, supra, note 1). That full normalization was a great step forward, to be sure. But it also effectively substituted one set of (very old) problems, with another. Among them are three interrelated issues--compensation for property seized from U.S. nationals during the early stages of the present regime, the lifting of U.S. trade sanctions against Cuba (the "embargo" or Bloqueo" depending on one's political leanings); and the return of the Guantanamo Bay land area to Cuban control. Professor Strauss proposes to " focuses on identifying the legal and political options that may shape how the United States responds to Cuba’s demand for recovering control of Guantanamo Bay. It will also discuss some practical implications for both the United States and Cuba of satisfying this demand. "(Strauss, Returning Guantanamo Bay, supra, p. 1). To that end, he considers first the Guantanamo Bay lease and its legal status, he then considers the options available to the U.S.--closure of the military base, terminating the lease by virtue of its form, content, or by virtue of abandonment--and the implications of exercising any of these options. These implications touch on the prison maintained in Guantanamo by the U.S., and the potential implications for the Cuban state. I consider each in turn. Professor Strauss reminds us of the intimate connection between the U.S. reservation of the lands that now constitutes its leasehold in Guantanamo Bay and the negotiations for Cuban sovereignty in 1903 for the purposes of enabling the United States “to maintain the independence of Cuba, and to protect the people thereof, as well as for its own defense.” (Platt Amendment, Act Making Appropriations for the Support of the Army for the Fiscal Year Ending June 30, 1902 (Act of March 2, 1901), 31 Stat 895, Ch 803 (1901)). The lease itself is the product of the aggregation of two bilateral agreements. The first an executive agreement between the presidents of the respective republics and the second a treaty. These were supplemented in 1934 by a "Treaty of Relations" elaborating lease termination and reconfirming the 1903 agreements. (Strauss, Returning Guantanamo Bay, supra, p. 1-2). The lease itself does not extend for a term certain. Rather it may be continued for as long as the United States deems it necessary to satisfy its coaling and naval station needs. By 2008 U.S. courts deemed the area to be under de facto sovereignty of the United States (Boumediene v. Bush, 128 S Ct 2229 (2008)) and a Cuban judicial decision of 1934 (the year in which the "Treaty of Relations" was entered into) which precluded the application of the Cuban domestic legal order within the Guantanamo leasehold. (Strauss, Returning Guantanamo Bay, supra, p. 2). The post 1959 government of Cuba sought to unilaterally repudiate the treaty on a variety of grounds, but avoided the initiation of formal legal process to test their position. Indeed, only the United States has the power under the lease agreements to unilaterally terminate its leasehold, or the territory is abandoned or a termination is negotiated (Strauss, Returning Guantanamo Bay, supra, p. 3). But Professor Strauss nicely notes that the Cuban position appears to modulate over the years. More importantly, recently its position appears ambiguous with respect to its own claims about the legality of the lease (Strauss, Returning Guantanamo Bay, supra, p. 2). Its argument appears more political than legal, grounded on principles of "justice" for the people of Cuba (Ministerio de Relaciones Exteriores de Cuba, “A veritable moral and legal black hole in the territory illegally occupied by the US naval base at Guantanamo,” accessed 16 July 2016 ). And justice in this context is understood as fair dealing along the lines of appropriate relations between states that appear to have been written into the U.N. Charter and related documents. It has in this way sought to appropriate for itself its own power of unilateral repudiation. Yet Raúl Castro did make a point of demanding the return of the Guantanamo base during President Obama's state visit to Cuba in March 2016 (e.g. here). For the moment, the value of the Cuban repudiation is focused on the production of symbolic acts that might be exploited both internally and within international organizations for political ends. The United States, of course, continues to rely on legality. This presents an interesting strategic issue for both states--the lease itself imposes legal obligations that are likely still valid, as law. The political situation, though, and changing international consensus, might make that legal position politically untenable in the long run. But even as a political matter, the strength of the "justice" position appears to be eroding as the claims of other large states--on substantially more tenuous legal grounds--are advanced in Asia (e.g., Press Release: The South China Sea Arbitration (The Republic of the Philippines v. The People's Republic of China; Permanent Court of Arbitration July 12, 2016)) and the Black Sea area (see, e.g., here). In any case, the Cuban state has repudiated using force to retake the leasehold and continues to avoid initiating legal proceedings. The United States is in a position to determine the fate of the leasehold--in accordance with its own interests. This is perhaps the most important basic insight that will drive the politics of relations among the U.S. and Cuba. It underlines the continued asymmetry in relations between the two states. More importantly it suggests the way that in international relations, at least in this instance, the stronger state makes use of legalities and the weaker appeals to politics and normative principles to advance their positions and interests. The question, then, for Professor Strauss is whether there are interests sufficient to justify U.S. lease termination, and if so, what are the consequences. And to that end, one must first consider the legal framework within which those decisions might be made, and then the consequential political effects on the weaker state. In the end, law provides the language within which the politics of the bases will be developed. This legal context reminds one of the complexity that the legalization that is starting point of analysis, and which gives that analysis structure. For what follows, it is important to underline the context in which the issue of the Guantanamo base closure arises—the normalization of relations between Cuba and the United States. Strauss notes that normalization brings together three distinct but related issues: (1) compensation for expropriation, (2) end of the U.S. embargo; and (3) closure of the Guantanamo naval base. The three present both legal and political issues. And they are unlikely to be resolved in isolation. As one considers Professor Strauss’ analysis of the legal framework for base closure it remains important to remember three important caveats to the analysis. First, one must be careful to avoid speaking to Guantanamo out of context. Though the base closure presents quite distinct issues, these will not be understood or interpreted out of the context of the discussions about expropriation and the embargo in which it is likely to remain embedded. Second, legalization produces a string pull toward the ideology of law in approaching analysis of the base closing. But one must be cautious about being swallowed up within the legal sphere with respect to an issue that, at its core, remains substantially political. Third, the Guantanamo base is deeply embedded in the history of relations between the United States and Cuba; it is deeply embedded in the construction of Cuban identity about the nature of its sovereignty. The weight of history will hang heavy on both legal and political analysis. More importantly, perhaps, will be the necessity to avoid the construction or application of false historical analogy. Ideology will drive the production and application of such analogy, and that is to be lamented. This sets the stage for the analysis that follows. These can be reduced to the consideration of three questions: (1) has the U.S. effectively unilaterally terminated the lease in accordance with its terms; (2) who has the authority and what must occur for the U.S. to terminate the lease on that basis if it chose; and (3) what are the implications for Cuba of a reversion of Guantanamo to Cuban control. Professor Strauss sets out a number of specific approaches that support base closure. I consider each in turn. The first legal option to be considered is base closure. Base closure again requires navigating through a complex legalization scheme that is meant to parse power among the military, the civilian executive and the Congress. Because Guantanamo is located outside the United States, the complex politics that is memorialized in the Defense Base Closure and Realignment Act of1990 (DBRA) does not apply. When the decision to close an overseas U.S. base is made by the United States, there are no mandatory criteria in U.S. law that must be considered in making the determination – it may be made for military, financial, diplomatic or other reasons that the United States deems in its interest. Similarly, U.S. law does not mandate a specific process to follow. (Strauss, Returning Guantanamo Bay, supra, p. 3-4).Yet for all that, Congress did extend at least a finger in the direction of managing foreign base closings in the DBRA. It provided a "sense of Congress," a nonbinding set of opinions that might be considered, in DBRA P.L. 101-510, § 2921. These suggested the Secretary of Defense take the lead in negotiation and that the Secretary obtain the best bargain he or she could in negotiating away U.S. military leaseholds. (Strauss, Returning Guantanamo Bay, supra, p. 4-5). Consider the implications. There are no Congressional standards for negotiating away U.S. military leaseholds. There is a sense of Congress that the Secretary of Defense ought to be a good merchant in negotiating away leasehold assets. But there is in the form of the DBRA itself a signal that, should it desire, Congress might also subject the termination of leaseholds--especially those undertaken through legal instruments, like treaties--to the sort of legal restrictions it has in place for domestic bases. Thus in the face of a threat to unilaterally close the base, Congress may act to prevent it. That potential exists, and might well be exercised in the face of the determination of a President of one political party to terminate a lease that the majority of the members of Congress believe is not in the interests of the nation. The interesting question, then, is to what extent the Congress may constrain the President's authority over military bases and over the President's foreign affairs powers. It is likely that in this case the powers are shared. The President might have some authority, but the consequences, especially where Congress retains the power of the purse over military spending, can be a governance crisis both sides might wish to avoid (see, e.g., here). For the President, then, the question becomes one of politics—is the value to be gained by closure worth the political cost of the act. For most presidents through the present moment, the answer has always put the cost as far higher than the gain. Still, it is not clear how the current administration would weigh gain and cost. Any U.S. bilateral agreement, regardless of its type, may be altered or terminated by another agreement, regardless of its type, between the same parties. In the case of an executive agreement that did not entail Congressional approval, it is logical that its termination can also be effected through a new executive agreement. But when the process of ending a bilateral agreement depends only on unilateral action by the United States – as is the case with the Guantanamo Bay lease – the matter becomes simpler: the predominant view among U.S. constitutional scholars is that the president has the legal authority to do this without consulting Congress. (Strauss, Returning Guantanamo Bay, supra, p. 5). Professor Strauss cites a 2001 internal memorandum of John C. Yoo. But again, the legal possibility masks the substantial political risk--something that was noted in passing by another set of legal scholars, Glen S. Krutz and Jeffrey S. Peake ("To be sure, the unilateral termination of a treaty by a president is uncommon in practice and raises serious domestic and international political questions") (Treaty Politics and the Rise of Executive Agreements: International Commitments in a System of Shared Powers (Ann Arbor: University of Michigan Press, 2009), 31; cited in Strauss, Returning Guantanamo Bay, supra, p. 5). Here again, the tensions between the structures of legalization and those of politics appear to substantial affect the analysis--and the costs--of actions that, though legal, may have substantial domestic political effects. It is not clear that a reliance on legalization here would prove sufficient. And that, again touches on Professor Strauss' keen intuition that the political and legal issues of compensation and the end of the embargo are likely deeply intertwined with the legalized politics of base closure and lease termination at Guantanamo. a decision by the executive branch that the U.S. no longer “requires” the territory for such purposes would automatically cause the lease to end. The moment the “requirement” ceases to exist would become the legal moment of expiration, at which time control of Guantanamo Bay would revert to Cuba immediately, unless the United States and Cuba were to agree on a “grace period” or on a specific future handover date. (Ibid). The argument is given greater force precisely because the naval base has been used for a purpose other than that for which the lease was entered into, at least since Guantanamo became a prison to house certain overseas individuals from the United States' foreign entanglements. Currently, Guantanamo is neither a naval base nor used for coaling--it is used for "goaling" (an old slang term for prison). That may be sufficient to trigger termination. And, indeed, Professor Strauss notes that the implication of the Helms Burton Act specifically speaks to the political use of lease termination as part of a process of political transition in Cuba--one that would permit the easy return of the leasehold in return for a transition to "democracy"--however that is understood as a Helms-Burton trigger (Strauss, Returning Guantanamo Bay, supra, p. 7). The nature of the value to the United States of Guantanamo Bay was thus legally transformed from one of a military character to one tied to U.S. policy promotion. Imposing this obligation on the United States without regard to the military value of Guantanamo Bay signals that such value has been lost on a permanent basis, given that the need for any military facility may fluctuate over time in the international context of geopolitics, conflicts and peace, and given that a state with a “democratically elected government” may at times be hostile to the United States. (Ibid., 7). The argument is indeed a strong one. It is made stronger because the legalization which forms its basis has also been buttressed by a quite specific political agenda. But 1996 was a long time ago. And Helms-Burton has been an ill-fitting suit for a long time. Any effort to use it to enforce may well provide the impetus for a Congressional revisiting of this then altogether easy trade--one that may not look so appealing after the presidential elections of 2016. Indeed, there is nothing that prevents the next president from declaring that Guantanamo is indeed an important site for naval operations. This would be especially palatable were, for example, the Chinese to press forward with their recent indications of finishing a deep water port in Santiago de Cuba and investing in the oil refinery in Cienfuegos would augment their presence in the Caribbean (e.g., here and here). Given the politics of the South China Seas, such a move could well serve to augment naval operations at Guantanamo. The fourth legal option to be considered is lease termination by virtue of its abandonment. Professor Strauss argues that base closure is not an absolute necessity for the unilateral termination of the lease. What is relevant here is that a base which is not closed legally or administratively but that has lost its usefulness may be subject to physical abandonment, and the 1934 Treaty of Relations opens the possibility for the United States to trigger the termination of the Guantanamo Bay lease this way – by taking actions that would constitute “abandonment” under analogous U.S. (or international or even Cuban) law. (Strauss, Returning Guantanamo Bay, supra, p. 8). Professor Strauss notes a precedent-- the 1916 abandonment of Bahía Honda which was never used as part of the Guantanamo facilities (Ibid., p. 8). Abandonment, Professor Strauss argues, could be effectuated through the redeployment of personnel, without the need to consult Congress. Indeed, he notes that "There is also no legally mandated procedure that stipulates how a base may be abandoned or at what level within the executive branch the decision may be made." (Ibid). He offers examples of base abandonment in Vietnam (e.g., Khe San; Ibid). The only impediment may be a power in Congress to regulate the territory or property of the United States (U.S. Const. Art. IV, sec. 3 ). But Professor Strauss dismisses its applicability. First, the territory is Cuban, and second, in the case of the return of the Panama Canal leasehold, the courts had held that the consent of Congress was unnecessary (Ibid., 8; citing Edwards v. Carter, 580 F.2d 1055 (D.C. Cir, 1978). See, e.g., Raoul Berger, “Must the House Consent to Cession of the Panama Canal?” Cornell Law Review 64 (2), 1979, 275-318 ). Still, Edwards noted that the power at issue in that case was shared, and that Congress could by ratifying a treaty effectively delegate power of disposition to the executive. It is not clear that the same intent was present in the context of the Guantanamo lease, the purpose of which was different than that of the Panama Canal leasehold. More importantly, it is not clear that under current supreme court doctrine the treaties involved would be deemed self executing (which becomes effective and binding within the domestic legal order without implementing legislation). But beyond the legal niceties--niceties that do raise some very profound issues that are, again, less certain of a resolution in favor of sole presidential authority, the political ramifications of such an abandonment may be more profound than the complexities of its legality as an exercise of presidential unilateralism. And indeed, in cases such as United States v. Texas, in which an evenly divided Supreme Court let stand a lower court ruling blocking the use of presidential authority in an immigration related matter, suggests the possibility of a narrower reading of presidential authority. The fifth are the implications for the Guantanamo Prison and its detainees. Here Professor Strauss notes a practical conundrum and a political solution. The current reality appears to hold only faint hope of closing the prison facility at Guantanamo, especially in the face of Congressional opposition. That opposition, as mentioned earlier, could block the invocation of legal strategies to terminate or abandon the leasehold. But it also speaks to the likelihood of a negotiated termination. Such a negotiation would have to take account of the status of the prisoners still on the base. (Strauss, Returning Guantanamo Bay, supra, p. 9). Strauss suggests, using the Hong Kong leasehold transfer as a model, that Cuba might concede to acceptance of the prison as the price it has to pay for the termination of the lease, That is, that Cuba would agree to continue the operation of the prison through the end of the terns of imprisonment of those still detained there at the time of the lease termination (Ibid). Professor Strauss makes the point that this may be politically acceptable to Cuba. But it raises substantial issues of human rights and might well trigger a bit of irony, as the United States, long a critic of Cuban human rights in the context of its prisons and prisoner rights, would be in the position of asking the Cubans to engage in further practices that it itself has criticized (Ibid). And there is irony--for the Cuban system might work in favor of the rights of these prisoners and the United States has a history of transferring such prisoners into states whose prison systems it has also criticized (Ibid., pp. 9-10). Here two points are worth repeating. The first is that such negotiations between Cuba and the United States are politically plausible--but only if one does not factor in the extent of the willingness of Congress to intervene. While Congress may be without ultimate authority to prevent such negotiation, it may well have the authority to withhold approval, if these transfers are effected through treaty. If they are effected through executive agreement, then Congress may well challenge the President in other and perhaps more painful areas. More important, perhaps, the price, in terms of political capital, involved in actions of this sort may not be worth the benefits, if any, gained by terminating the leasehold. And that is the ultimate problem in any analysis. Guantanamo naval base and even its prison, has not been a very high priority issue for the U.S. electorate. The benefits--in terms of positive internal political effects for those who undertake this task, is unlikely to be anywhere large enough to justify the likely political costs of such action. It is not for nothing that more than half a century lapsed before a president moving toward the end of his time in office finally sought to normalize relations. The political bruising that may likely accompany any debate about the closing of Guantanamo, and the value of that effort, may again put off any effort. The only possible exception if it is made part of a package deal involving compensation for confiscations and the end of the embargo. But in those matters. again the United States has relatively little to gain (compared to the Cubans) and lots of potential political fallout from the symbolism of the act. The sixth are the implications for Cuba. Professor Strauss ends with a suggestion for the implications of a leasehold termination for Cuba. These are generally positive--and optimistic. Most revolve around the conversion of the base into a working port. The existing deep-water port there would become available for use in Cuban trade, which can influence the competitiveness and volume of trade between Cuba and Latin America and also beyond, considering that Guantanamo Bay is closer than Cuba’s other main ports to the Panama Canal. Ports are known to spur economic development in the areas surrounding them and along transportation corridors to which they are linked. (Strauss, Returning Guantanamo Bay, supra, p. 10). This plus the infrastructure already in place might obviate the need for expenditure on additional port facilities, including those at Cienfuegos and Santiago de Cuba. But Professor Strauss rightly concedes this is conjecture at this point. "Cuba’s demand for control may be mainly a political one at this point, although the efforts to broaden bilateral relations toward the level of “full normalization” create conditions that can make it a realistic possibility." (Strauss, Returning Guantanamo Bay, supra, p. 11). But it does suggest the plausibility of inferring that the Cubans might be willing to deal, depending on the value to their economy anticipated from the conversion of Guantanamo into a working port. The difficulty, of course, is that it will take substantial sums to improve the port in any case to serve the needs of modern shipping. And it is also likely that the planning for most efficient use of the port facilities may requires years of study given the uncertain state and growth of the Cuban economy, especially in its south and east coasts. Cuba has neither the funds nor the planning capacity to make that work at the moment. And its likely donors--political competitors of the United States, may also have the perverse effect of souring American willingness to turn its facilities over. Certainly the prospect of providing the Chinese, Russians and Brazilians with a windfall property that they might develop, in conjunction with the Cubans, to suit their own strategies so close to the U.S. mainland, will not make for palatable politics in the United States. And thus we end the analysis better prepared for the eventuality of the disposition of the Guantanamo Bay leasehold--or of its continued tenancy by the United States. Shifting geo-politics, and the domestic politics of both Republics will have some substantial bearing on the future. But the language of the conversation will reflect the legalizations built into the lease terms and its embedding in international law. What is clear is that within the context of legal structures, the United States may act unilaterally, and if not unreasonably, any such action may be sustained by international tribunals--even as against claims grounded in justice. On the other hand, the politics within which these legal issues will be framed may well go in either direction. My sense is that while the U.S. was quite happy to normalize relations, it is unlikely to be as eager to part with its naval base, especially as the global situation continues to deteriorate, as states appear to fail or become fragile in the region, and as the demands of globalization requires the physical presence of the United States well beyond its borders.